WHAT MY NETWORX CONTRACTOR DID FOR ME: Installed a new bathtub and removed the old cast iron one. Replaced tile surround. WHY I CHOSE HIM: Positive customer reviews, lower price than competitor. When we bought our house 5 years ago, it came with a cast iron bathtub – very heavy and old school. The problem was, the porcelain coating had worn away over time until you could see the cast iron underneath. We had the tub refinished a few years ago, but that didn’t last very long, so ultimately we had to say, “You know what? This is getting embarrassing. We need to do something about it.” Since we were going to get rid of the tub anyway, I figured I might as well redo the tiles at the same time. To find a contractor, I just looked online. I searched on Google and various sites came up. After I filled out a few different forms with my name and project details, eventually Hassan of Best Area Home Improvement contacted me. I was looking for several qualities in a contractor – mainly, someone who was reliable and not super expensive, and who would have a nice product. I wanted a contractor who had good reviews and was recommended either by a friend or by numerous people online. Contractors can be notoriously not reliable and they might start your job and not finish it, that sort of thing. That’s always what I’m worried about. When I got Hassan’s information from Networx, I then looked on Yelp to see what his customer reviews were like. His positive reviews convinced me to contact him. I did get one other bid, but his was much lower. I picked out and purchased everything except for the rough materials. Hassan’s crew bought the grout, the board, and that type of thing. I bought the tub, the faucets, and all the tile. Actually, my mom helped me choose; she’s really good at figuring that sort of stuff out. It took about 8 days total to do all the work – removing the old bathtub, installing the replacement, and putting in the tiles. Fortunately, we have another bathroom so it wasn’t a major inconvenience. Hassan was outstanding for his reliability, absolutely. He was always there when he said he was going to be there. His subcontractors were excellent and again, they were there when they said they were going to be there. They were so trustworthy that I ended up leaving them a key to the house because I couldn’t be there all the time. They listened to all my concerns and seemed like good, honest people. I’d absolutely recommend Hassan. He and his team were fantastic. I’d definitely use him again. I thought he was wonderful, extremely nice, and very reliable. The project was completed on schedule and on budget. I can’t ask for more than that. 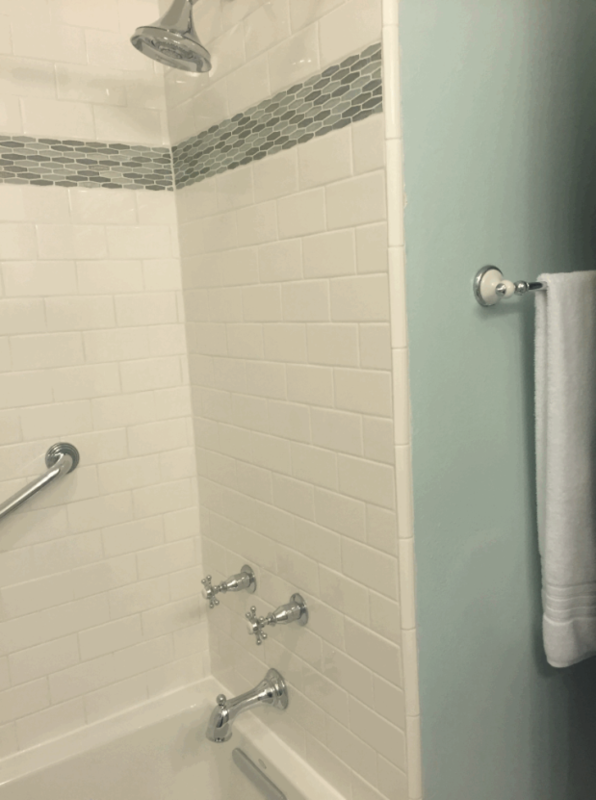 Grout Replacement Made my Shower Look Brand New by Martina B. Rock Landscaping Adds Curb Appeal To An Arizona Home by Bill W.